It’s been a long while since we updated the blog. And no wonder. The weather for the past month has been amazing. Especially, with the memory of the past two cold and wet springs still fresh in our mind. This time of year is probably the most stressful around here. 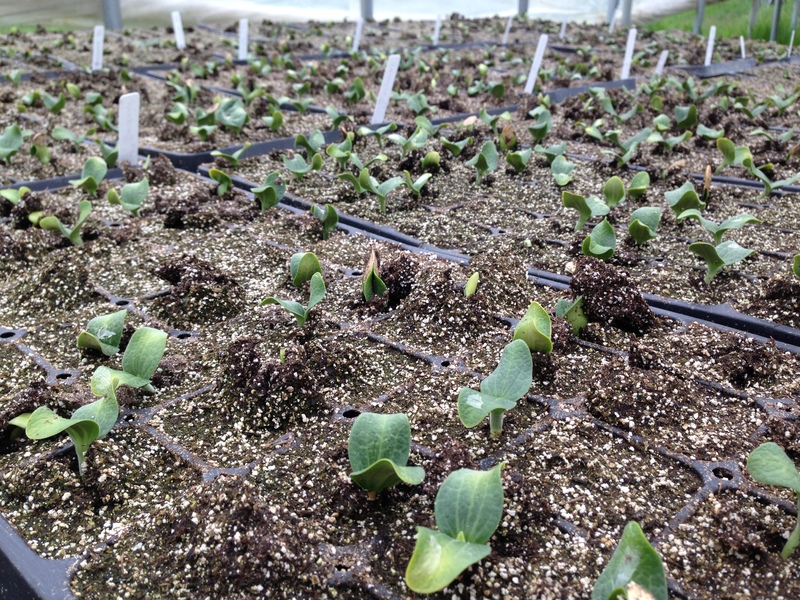 We have hundreds of thousands of little seedlings in the greenhouse waiting to be transplanted, we have fields growing cover crops waiting to be mowed, disked, spaded, and made into beds for seeding or transplanting…. if only it would dry out enough for us to work the soil. Well, this year we have mostly been spared the stress that comes from too much rain in the spring. Indeed, with the wonderfully warm and dry weather we’ve had, we’ve been wonderfully busy. 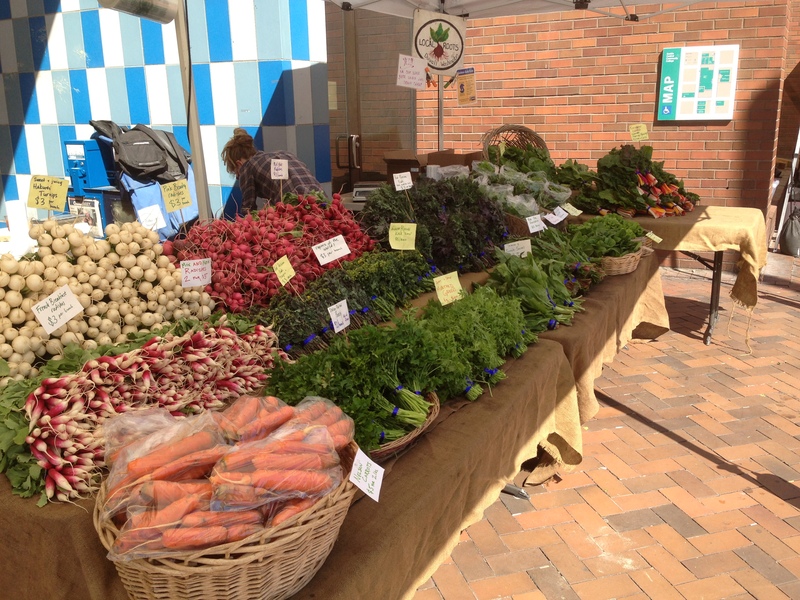 The Broadway Farmers Market started in April, and the Duvall Market started in early May. 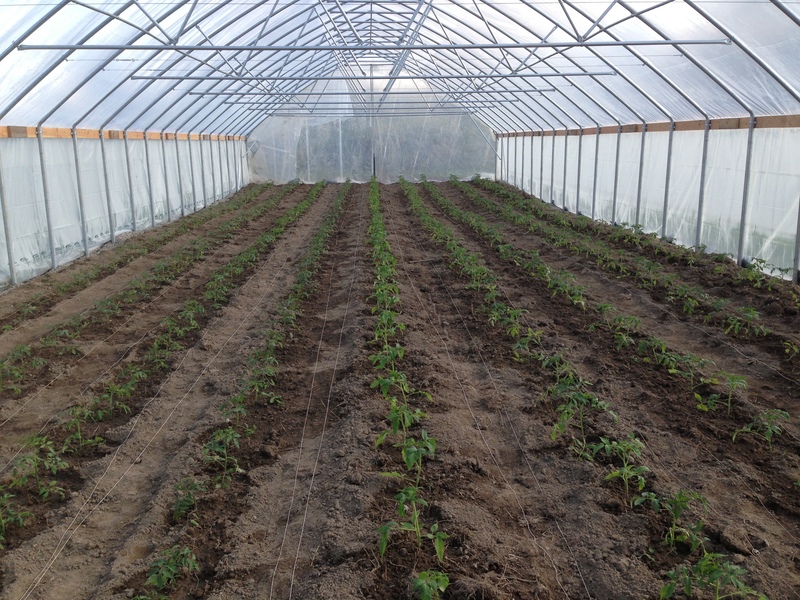 We built our new NRCS funded greenhouse and immediately planted it with tomatoes. Our second round of tomatoes, and our peppers and eggplant will be going in next week. 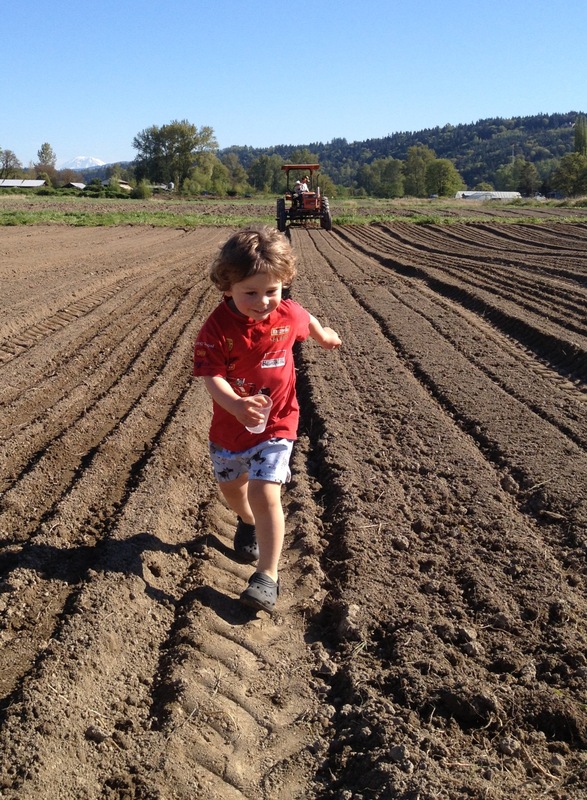 We have already seeded or transplanted around 4 acres of veggies, and in the coming weeks we’ll be putting in a whole lot more. Once the plants are in the ground, comes the task of watering, weeding, and otherwise caring for them. Before the rain returned again last week, we were forced to start irrigating earlier than I can ever remember. We also got out and did some tractor cultivation. Here’s a video I made while cultivating lettuce. The black object that keeps flashing through the screen is the steering wheel. 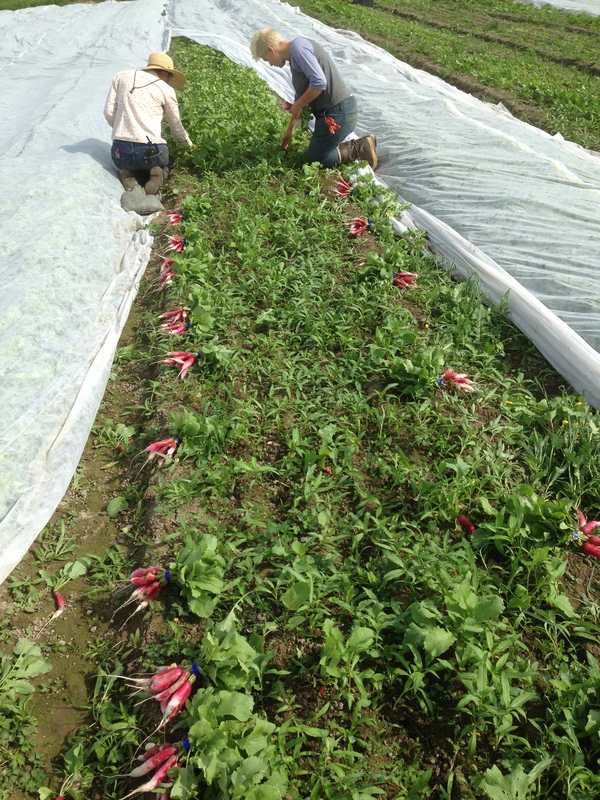 Being a part of your CSA and getting to follow along with your progress is such an honor. It’s really wonderful to see it all in action and know that the lovely results of your work will be on our table soon. Thank you for your amazing vegetables! Thank you so much for your kind words. 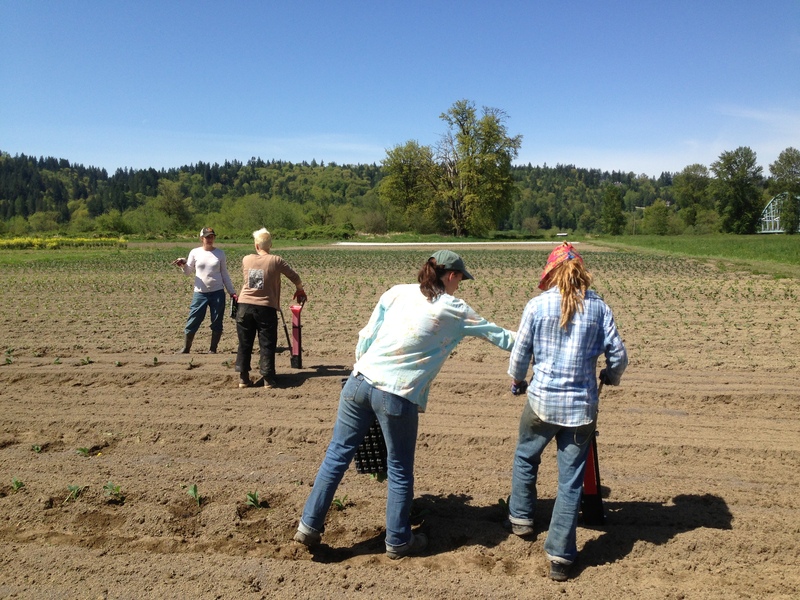 The gratitude and appreciation we receive from our CSA members is so validating. Very cool video, I liked watching that. Amazing to watch you drive–very quick movements to keep it right in line. Is it possible to drive it any slower? Hey Chandler, I’m driving in 3rd gear in that video. So, yes I can go slower. But despite what that looks like, I’m actually moving at less than 1 mph. That kubota is geared super low. 1st gear is glacial. 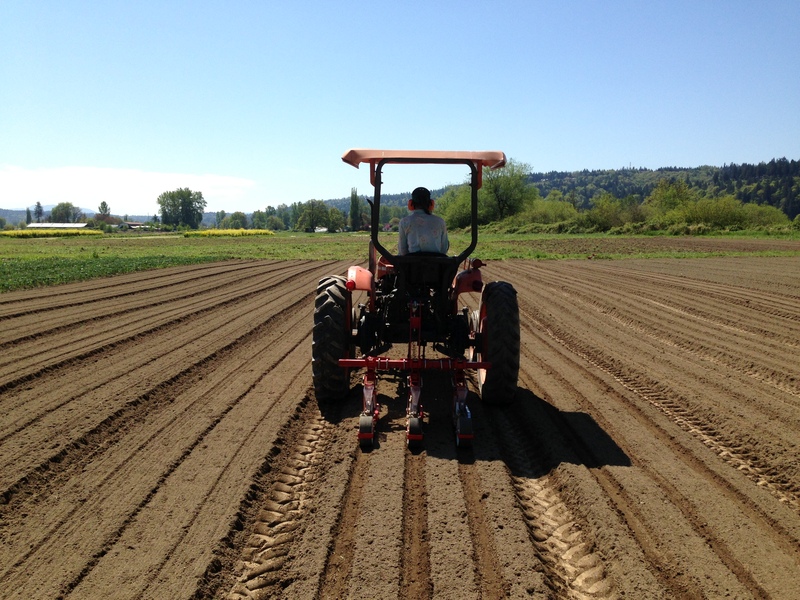 Do you find that going faster or slower gives you different action with your cultivating tools? Are you using beet knives or other attachments? Is that a Kubota model made for cultivation or do you use it for other things too? Thanks! You guys are looking good out there. Yes, driving faster tends to throw more soil. I use beet knives for things I want to keep dirt off of – lettuce, tiny carrots and beets, etc. I like sweeps or S-tines for everything else because they do throw soil, you can drive faster, and the tool is farther from the plant, making the whole process less stressful. Our kubota is an offset cultivating tractor with a belly mount cultivator bar. 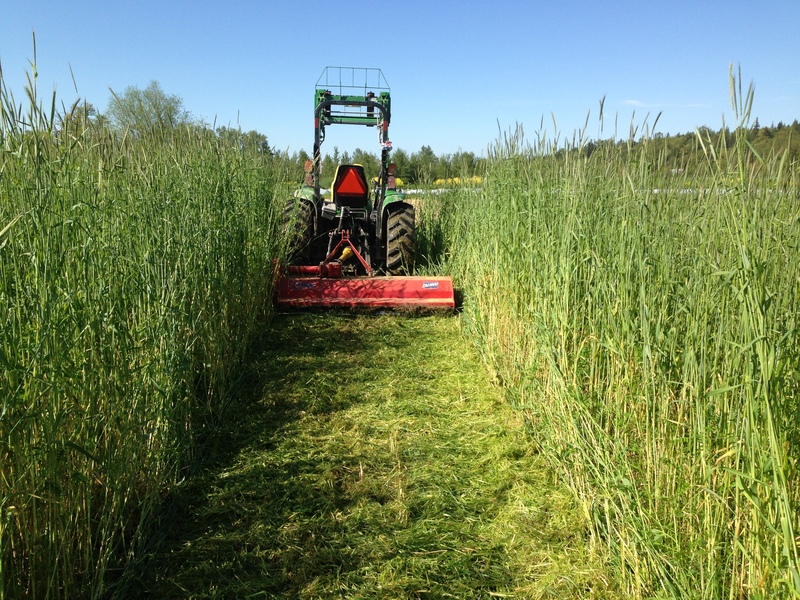 We can use it for other things, but we use ours exclusively for cultivation and seeding. wonderful blog! 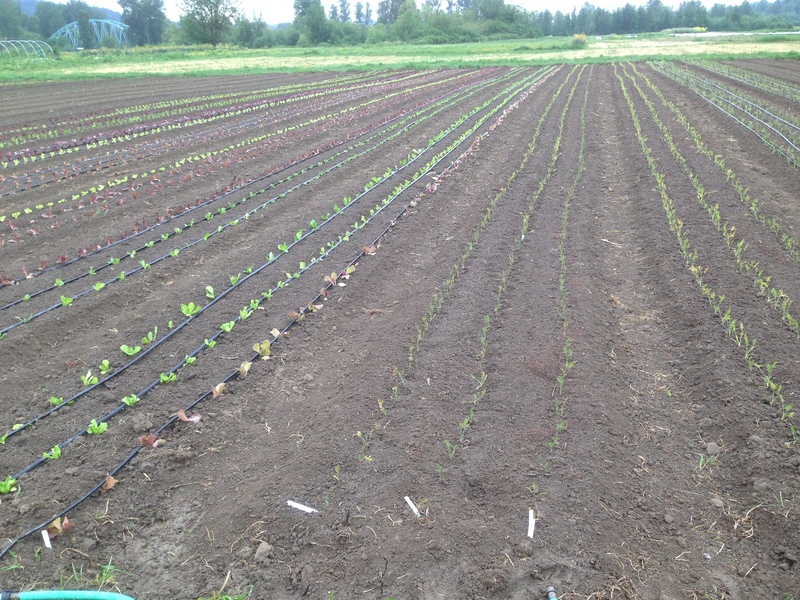 how are you generally irrigating your crops? I notice drip tape in the above post but do not see it on most of your rows. We have been using drip tape out here in New Mexico to conserve water but it creates real cultivation issues — very difficult to cultivate with a tractor with above ground drip tape — its just too easy to tear it. We are considering other irrigation options that would allow for more mechanical cultivation techniques, curious what you use primarily. We strategically plant cover crops right into a rain. We don’t have the irrigation capacity to water that much at once. As for drip, we water in transplants and then pull out drip tape so we can cultivate.